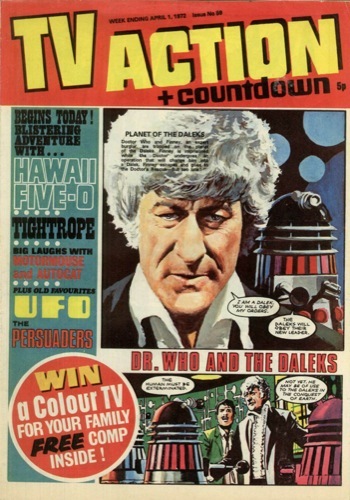 Exactly forty years ago this month, TV Action in Countdown comic relaunched as TV Action + Countdown, and finally promoted The Doctor to the cover strip. 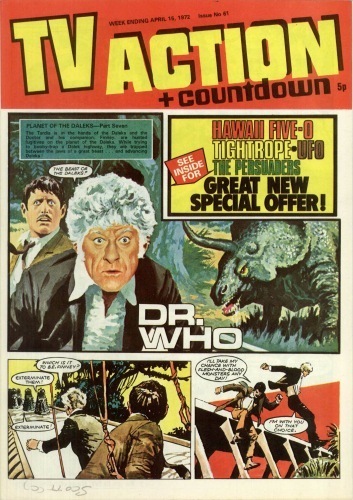 This was on the strength of the first proper Dalek story to run in the comic, and it carried Doctor Who on the cover for several months, prior to its final relaunch. 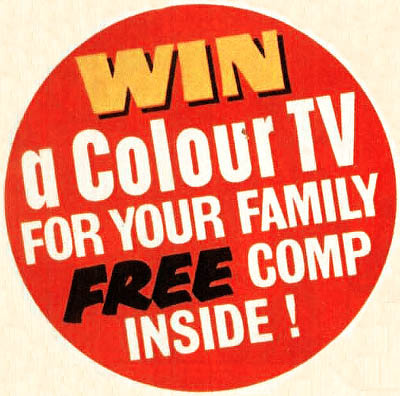 Issue 59 contains a competition to win a Colour tv. 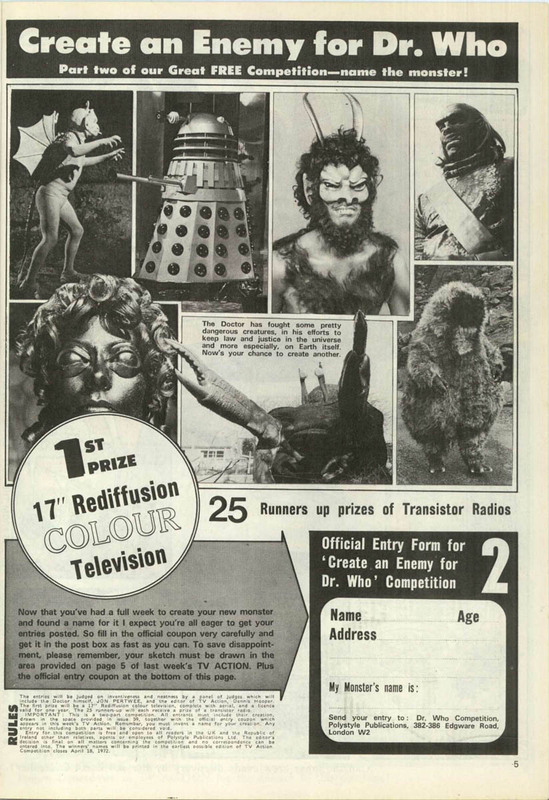 To enter, readers were invited to draw a new enemy for The Doctor to battle. 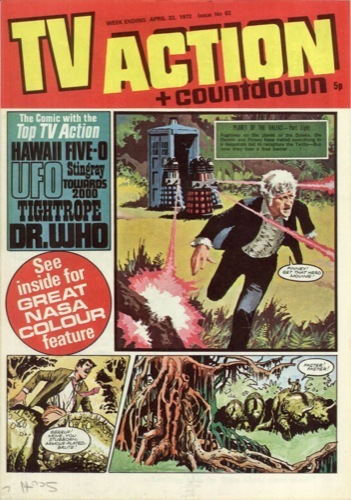 The winning design would then appear in a specially written strip, which ran from issue 79. 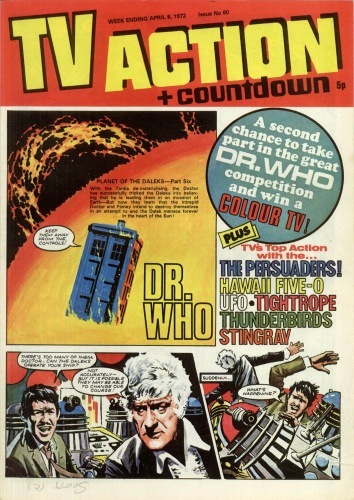 From issue 59 the comic was retitled TV Action + Countdown. 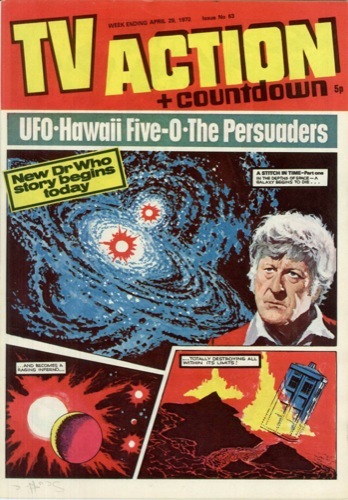 Notice too how the emphasis is slowly shifting from Countdown to TV Action, with the Countdown name now relegated to a byline. The competition to win the colour tv and have your monster feature in a comic strip was in two parts. 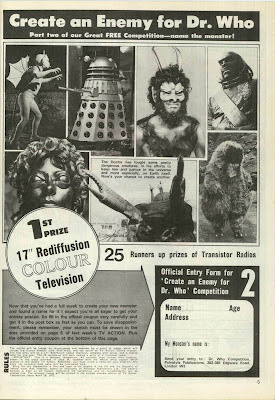 Part one, in issue 59, gave you space to draw your monster. Part two the following issue then asked you to name it before sending in both entry slips together. The ultimate choice was judged by a panel headed by Jon Pertwee himself, as well as the magazine’s editor. 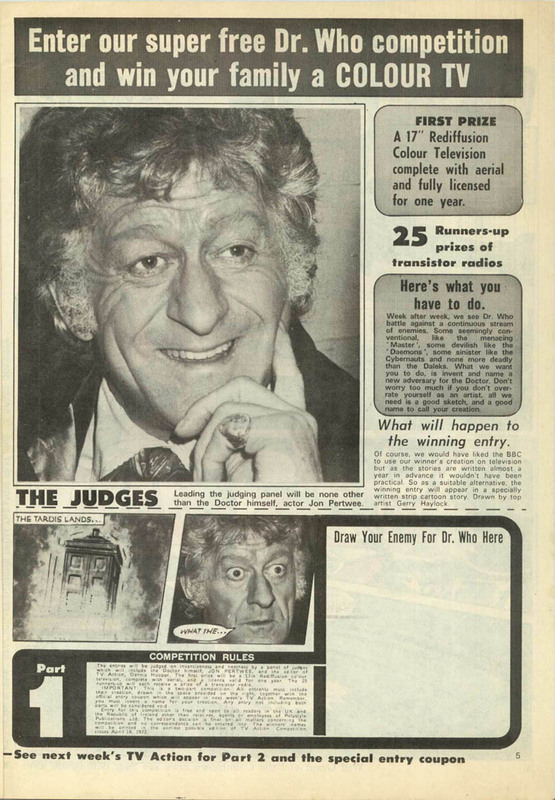 Check out issue 79, when the winner was announced and a new Doctor Who strip started with the winning entry. Were these scanned by you? Either way, thanks for sharing these! Thank you so much for putting these online!